2017 LEAF Q, the hobby’s most comprehensive, high-end, multi-sport product arrives Friday at Sports Cards Plus, a.k.a. The Super Hit Factory. In your hands, direct from Leaf. 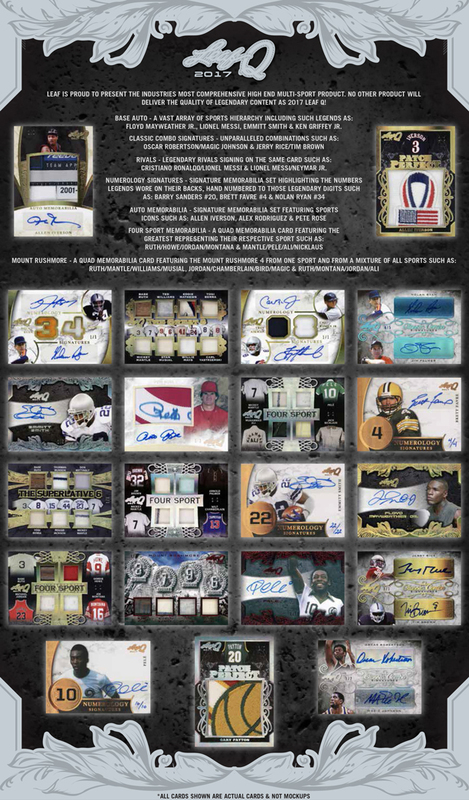 Pick your box from The BEST CASES in The Hobby at The LOWEST PRICE in The Galaxy. 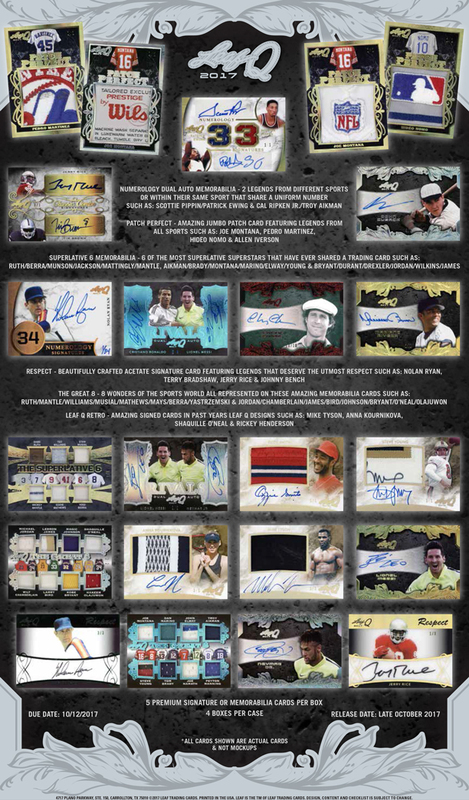 Base Autographs – A vast array of sports hierarchy including such legends as: Floyd Mayweather Jr., Lionel Messi, Emmitt Smith, Ken Griffey Jr.
Rivals – Legendary rivals signing on the same card including: Cristiano Ronaldo/Lionel Messi, Lionel Messi/Neymar Jr.